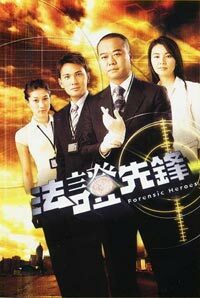 Tim Sir (Au-Yeung) and the police force are in charge of solving murder cases. Siu Yau (Yoyo Mung) is the head of her department. Sam (Frankie Lam) is a doctor whose responsibility is to find out the victims' causes of death and other health-related jobs. Ding Ding (Linda Chung) is an investigator who helps to solve cases. In between these cases, the characters of this story have a lot of personal issues to deal with. Yvonne (Florence Kwok) finds that her husband has been cheating on her because she does not want to have children. Kong Jai (Fred Cheng) develops a crush on Ding Ding, but soon finds out that she likes Sam. Tim Sir's wife, Charlie (Jay Lau) dies after being accidentally poisoned by a nurse. Although Tim says he is not ready for another serious relationship, he develops feelings for Siu Yau and vice versa. Sam meets a young girl named Mon (Natalie Tong), who has been taking many wrong paths in her life and he is helping her to get her life back on track. Sam writes books about crime-solving and murder, which Mon enjoys very much. What Sam does not know is that Mon has strong feelings for him. Mon is jealous of Ding Ding because Sam is dating her. But one particular day, the police force is called to a very strange case. The murder victims have been killed in the same way the victims were in Sam's books! When the force begins to suspect Mon - they find her dead. Who is this strange serial killer and why are they killing people following Sam's books?